Newspapers regularly contain articles complaining about the lack of skills of those leaving school, college or university. But how do we identify what the ‘right’ skills are, and how can we ensure that the educational system delivers them? Forecasting what employers want in five, 10 or 20 years’ time is not straightforward. Many factors can affect the economy: social change, legislation, economic boom or bust, shift in political power and technological change. At the time of writing, the referendum on the UK’s membership of the EU is almost upon us, with an outcome that is hard to predict. What is clear is that, whichever way the vote goes, there will be far-reaching implications. Another factor on the horizon is the Apprenticeship Levy, which is set to be introduced in April 2017. Will apprenticeships address the skills needs in the waste sector? Currently, there are no ‘trailblazing’ standards for the sector and one of the old frameworks has been earmarked for withdrawal from December 2016. 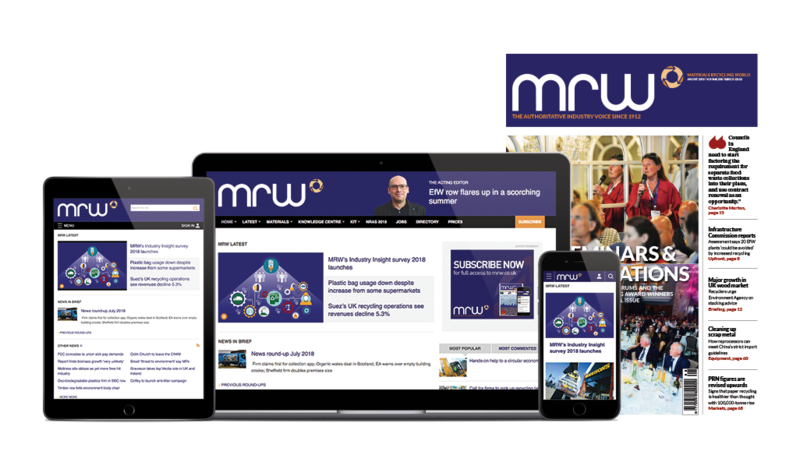 The trade press has highlighted the circular economy (CE) and its potential in terms of jobs growth and new approaches to managing what are now classified as ‘resources’ but was once ‘waste’. Research by the Green Alliance published in 2015 estimated that, by 2030, the CE could create more than 200,000 jobs. The challenge for those managing the workforce or developing training and qualifications is identifying what jobs will be created, how existing work will change and what skills will be needed. Until recently, the now largely defunct Sector Skills Councils (SSCs) were required to undertake regularlabour market research by country, region, sector and sub-sector. This information was freely available to employers, learning providers and qualification developers. While it was not perfect, particularly in terms of niche sectors, it was at least an accessible and relatively robust source. Withdrawal of funding for SSCs means that this type of research is no longer undertaken in the same way. It is now largely up to companies themselves or professional/trade associations to carry out sector-based labour market research. Accessing this research is usually restricted to members of those organisations (and may be chargeable) or, if undertaken by commercial market research organisations, the reports can cost thousands of pounds. The added challenge is that research reports use Standard Industrial Classification of Economic Activities (SIC) or Standard Occupational Classification (SOC) codes, which are updated only every 10 years and do not keep pace with the modern workplace. This makes it difficult to interpret information for forecasting purposes. Many of the skills forecast reports produced by the Government in the noughties looked ahead to 2020. Butthose reports coincided with the recession, so some of the plans to address skills gaps and shortages fell victim to austerity measures. More recent reports focus on what will be required in 2030, when those going to school for the first time this September will be considering their career options – an apprenticeship, university, job or starting their own business. What skills should be developed at school? What information, advice and guidance should be available to help them make informed choices on opportunities in our sector? There is also the challenge of the so-called demographic time bomb. Members of the baby-boomer workforce (born 1946-64) are either retired or in their fifties and sixties, with thoughts of retirement. Companies need succession plans to ensure they are training people to step into their shoes. Some jobs will naturally disappear over time. But people currently employed in those roles will still be young enough to work – indeed, the rise in pension age raises the prospect of working well into our sixties or even seventies. The waste and resource industry has been increasingly mechanised; where once sorting was done manually it has now been automated. These employees will need to be redeployed, retrained and possibly upskilled in terms of IT, literacy and numeracy to make sure they have the right skills to undertake new job roles. Whatever the difficulties with research, it is essential that we put in place plans to deliver the skills needed by the future economy. Some employers assert that, provided new employees come to them with a good grounding in English, maths and IT, and an aptitude for learning, then the specific technical skills and some of the so-called soft skills can be gained in the workplace. This sounds like the hallmarks of an apprenticeship programme, so perhaps this is the solution to meet the current skills gap and those of the future.